In recent years there has been substantial support for heart rate variability biofeedback (HRVB) as a treatment for a variety of disorders and for performance enhancement (Gevirtz, 2013). HRVB is efficacious for anxiety (Moss, 2016), depression (Shaffer & Zerr,2016), hypertension (McGrady, 2016), Irritable Bowel Syndrome (Stern et al., 2016), chronic muscle pain and asthma (Lehrer, 2016). This workshop is designed for therapists interested in utilizing HRVB in their practice. 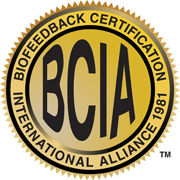 It will cover all 16 hours of the BCIA HRV Biofeedback Certificate of Completion Blueprint: anatomy and physiology of the heart, respiratory system and autonomic nervous system, heart rate variability (HRV), HRV instrumentation, HRV measurements, HRV biofeedback training strategies and HRV biofeedback applications. Theory is combined with practicing using HRV instrumentation. This program offers the full requirements to apply for the BCIA HRV certificate: 16-hours of didactic training in HRV and an optional online exam. Moss, D. (2016). Anxiety and anxiety disorders. In G. Tan, F. Shaffer, R. R. Lyle, & I. Teo (Eds.). Evidence‐based practice in biofeedback and neurofeedback (3rd ed.). Wheat Ridge: AAPB. McGrady, A. (2016). Hypertension. In G. Tan, F. Shaffer, R. R. Lyle, & I. Teo (Eds.). Evidencebased practice in biofeedback and neurofeedback (3rd ed.). Wheat Ridge: AAPB. Stern, M. J., Guiles, R. A. F., Huntley, C., & Gevirtz, R. (2016). In G. Tan, F. Shaffer, R. R. Lyle, & I. Teo (Eds.). Evidence‐based practice in biofeedback and neurofeedback (3rd ed.). Wheat Ridge: AAPB. After completing this course the participant will be able to provide HRV biofeedback training as a clinical tool and as an optimal performance tool using the modalities heart rate and respiration. Health care professionals, like psychologists and physical therapists, who want to add HRV biofeedback to their clinical practice and individuals with no specified clinical background who want to apply HRV biofeedback for optimal performance training. This 2-day classroom training covers all 16 hours of the BCIA HRV certification program. We also offer online examination and HRV mentoring.